To the beginner fly fishing angler, the possibilities seem endless when it comes to picking out fly fishing gear. From different lengths and weights of rods and fly lines, to flies that imitate virtually any insect you can think of, there is no shortage of variety; and over time you will learn how different combinations of gear are going to create ideal conditions for that perfect catch. For now though, let’s keep it simple. 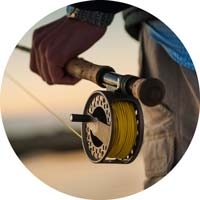 As you start looking for your gear, be sure to talk to local fly fishing anglers and fly fishing shops to get their input on what gear works best for the fish in your area, but also keep in mind that every angler has different preferences. As you become a more seasoned angler, you’ll get a better grasp of what gear you need for different fish and fishing conditions, so try to stick to the basics while you’re learning. The basics are going to be your medium-level gear. Medium-level gear will not be the best-of-the-best, but it won’t be the least expensive option you can find. It will be good, sturdy gear that will last while you practice your cast and learn the art of fly fishing. Since bad gear can literally ruin your fly fishing experience, it’s worth a little investment in the beginning for good gear, but you don’t need to invest in top-of-the-line gear for a while. 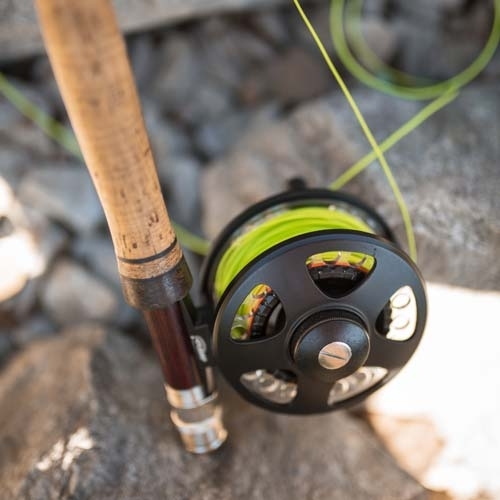 First, let’s talk about the fly rod and fly reel, the core components of your fly fishing gear. Choose these before anything else because they’re going to build the foundation for the rest of your gear. As you learn the sport you will learn how to select different rods and reels that alter your technique to complement the type of fish you’re after, but in the beginning you just need a general set-up. Fly rods are available in multiple different weights and sizes up to about nine feet in length that can break down into two to five pieces, easier for storage or travel. As a general rule, the beginner fly fishing angler need not be concerned with 9-foot rods or rods shorter than eight feet in length. These rods will become necessary in the future as you become a seasoned angler and want to make longer or shorter, more precise casts, but if you’re new to the sport then you will want to choose a basic, 8.5-foot rod for general fly fishing that works in a variety of conditions. Even as a beginner, however, you do need to pay attention to the weight of your fly rod, as this will need to match the weight of both your reel and fly line in order for them to work together properly. If this sounds confusing, just remember your fly rod, reel, and line all need to have the exact same weight. After you pick out your rod, you can choose a fly reel. This may seem like a relatively unimportant piece of equipment, but when you are fighting a fish this is the piece that makes the different between a catch and a lost fish. That’s why it’s important to invest a little bit into a solid reel that will efficiently help you learn fly fishing without it breaking, and potentially ruining the rest of your gear. A good reel is going to be sturdy, weather-resistant, and rust-proof. Cheaper reels tend to be made of plastic and have uneven drags that will break down quickly, making them difficult to practice on and even worse for real use. A medium-level reel will typically be made of aluminum and have a decent quality “disc-drag” or “spring-and-prawl” drag system that will perform well for a beginner. Other Considerations: Single retrieve fly reels are most common for freshwater fly fishing, but speak to a professional about automatic or multiplying retrieve reels if you plan to do saltwater fly fishing. Once you have your fly rod and reel, it’s time to pick out the fly line. The fly line is an integral piece of fly fishing gear as it ultimately defines the sport of fly fishing. Unlike traditional casting that relies on the weight of the bait, you’ll be using the weight of your line to cast a virtually weightless fly onto the surface of the water. The easiest way to understand how to choose your fly line is with some basic knowledge of the fly line codes you’ll be reading on the boxes of fly line. 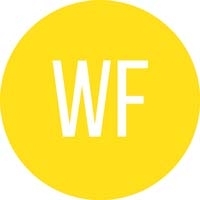 WF: This first series of letters and numbers refers to the line’s taper. The fly line taper makes the fly line thicker, heavier, thinner or lighter to give you better control of the line for improved casting. 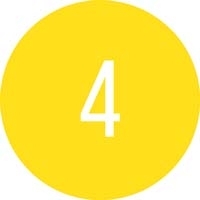 4: This second series of letters and numbers refers to the fly line’s weight. This number will range between one and fourteen, but remember the weight of the fly line has to exactly match the weight of the rod and reel so look for the same number. 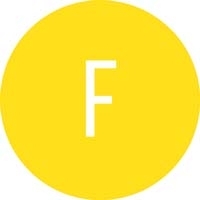 F: This third series of letters and numbers refers to the fly line’s density. The fly line density determines whether the line sinks, partially sinks or floats. Choosing which line you need depends less on personal preference and more on what type of fish you are fishing for and the rod and reel you picked out. Generally speaking, you will want a weight-forward taper and a floating line to start out with, but you can always buy different lines as you learn more about the sport. One thing that is completely your choice is the color of the fly line. They are available in a range of bright colors, but choose one that’s going to be easy for you to see out on the water. MAINTENANCE TIP: Be sure to pick up some fly line dressing to clean your fly line and keep it well-maintained. This will also make it easier to cast. Adds length to your fly line for when you are fighting a fish. Gives the fly line a platform to rest on while wrapped around the reel; this prevents kinking and memory coils. You will be able to choose from various different strengths, materials and lengths, all of which will depend on the type of fish you plan to catch. Typically, a beginner fly fishing angler will find success with a 50 to 100-yard braided nylon backing in either a 20 or 30 pound test strength. The leader connects your fly line to the fly and transitions the line to the tippet. The tippet attaches the leader to the fly and is virtually invisible in the water, which lets you present the fly without the fish realizing it’s attached to anything. The leader and tippet, together, transfer energy through your fly line throughout your casting strokes to send the fly out to the water in a straight line. The leader and tippet come in a wide range of shapes, sizes and materials to adapt your fly fishing technique for different species of fish, which can make it confusing for someone just starting out. But when you’re learning how to fly fish try not to get caught up in too much customization. In general, you’ll be fine with a nine to 10-foot leader. From there, you’ll want to match your tippet size to your fly by dividing the size of your fly by three. Be sure to ask a professional about choosing a leader and tippet as this one can be a bit tricky for the beginner fly fishing angler. MAINTAINING YOUR LEADER AND TIPPET: A leader straightener uses friction to straighten out your leader, which is essential to successful fly fishing, so be sure to pick up this handy little tool in addition to fishing nippers. Fishing nippers are basically nail clippers for excess tippet material once you’ve attached it to the fly, but are specifically designed to create a cleaner cut. 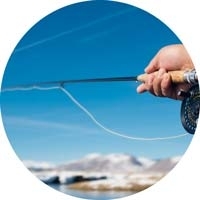 Talk to local anglers and professionals at fly shops to see what gear they’ve had success with, and as you start to master the art of fly fishing on your way to becoming a seasoned angler, delve deeper into the sport by experimenting with different gear and techniques to catch a wider range of fish.